This post contains system changes available in RHEL 7. I have tried to provide those changes in details. The RHEL 7 distribution uses the 3.10 kernel. This choice comes from one of the main Linux kernel developer, Greg Kroah-Hartman, who decided in August 2013 that this kernel version would receive long-term support. There is no 32-bit version any more. a. RedHat recommends minimum 5 GB of disk space to install this release of RHEL series for all supported architectures. b. For AMD64 and Intel® 64 systems – Red Hat recommends at least 1 GB memory per logical CPU. c. For 64-bit Power systems now require at least 2 GB of memory to run. The Systemd component replaces the SysVinit part that was in charge of the system initialization. This is not a shallow change but a deep reorganization. The main purpose of this replacement is to boot quicker and smarter. The systemctl command is the most visible face of the Systemd component. It replaces the still available but deprecated chkconfig and service commands. It’s sometimes painful when managing hundreds of servers to connect to each of them separately. OpenLMI offers an alternative allowing a system administrator to send commands from a unique client without any ssh connection. Rather than going for full virtualization with a serious overhead, it’s sometimes more relevant to use a lighter approach. The RHEL 7 provides at least (!) two kinds of Linux containers: those based on virt-sandbox-service, these should be almost production-ready, and those based on systemd-nspawn for testing. Instructions to discover the formers (virt-sandbox-service Linux Containers) are available. USB 3.0 ports are now supported on KVM Guests. It is now possible to do a VM live migration from RHEL 6.5 to RHEL 7. The new virtio-rng driver allows a guest to draw entropy from the host, alleviating entropy starvation in guests. With libseccomp, applications can now define interactions with the kernel using syscall filtering, to reduce the risk of a malicious guest exploiting a kernel vulnerability. The virtio-net networking stack has been improved by adding a multi-queue NIC feature that removes the single queue NIC bottleneck and allows the virtual NIC to process networking packets in parallel. Thanks to the new graphics PCI pass through capability, it is now possible to assign a GPU directly to a virtual machine and provide 3D graphics acceleration for computing or visualization. Virtual CPUs (vCPUs) can be now added to a running virtual machine. QCOW2 version 3 Image Format is now supported. UID (user ID) and GID (group ID) now start by default at 1000 instead of 500. This slight change can create conflicts when migrating from RHEL 6 to RHEL 7 or when using pre-RHEL 7 tools. NUMA stands for Non-Uniform Memory Access. In multi-socket server systems, local memory is directly connected to each processor, resulting in sub-optimal use of the memory and non-uniform access times. 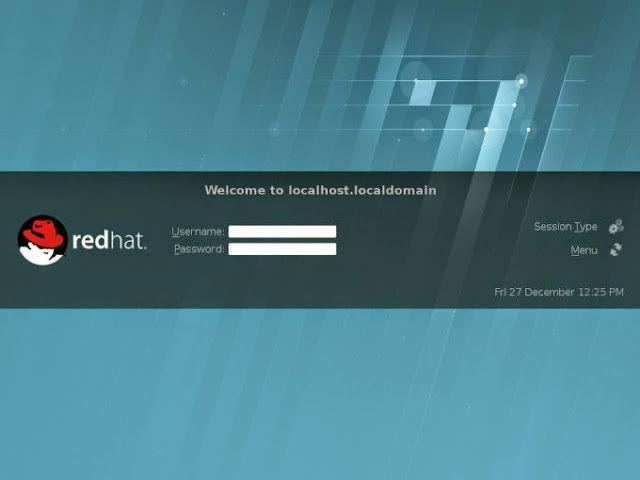 Red Hat Enterprise Linux 7 introduces a new automatic NUMA balancing feature that achieves results close to what a performance specialist can provide.